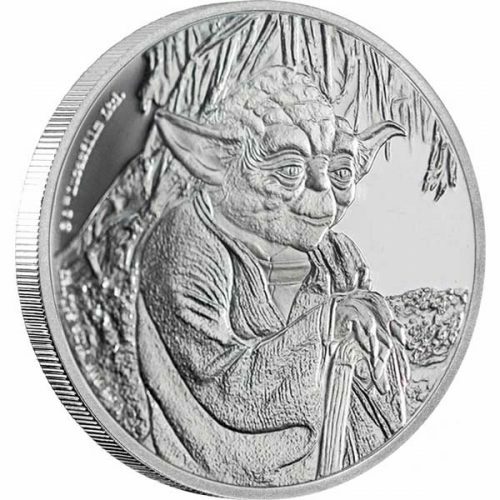 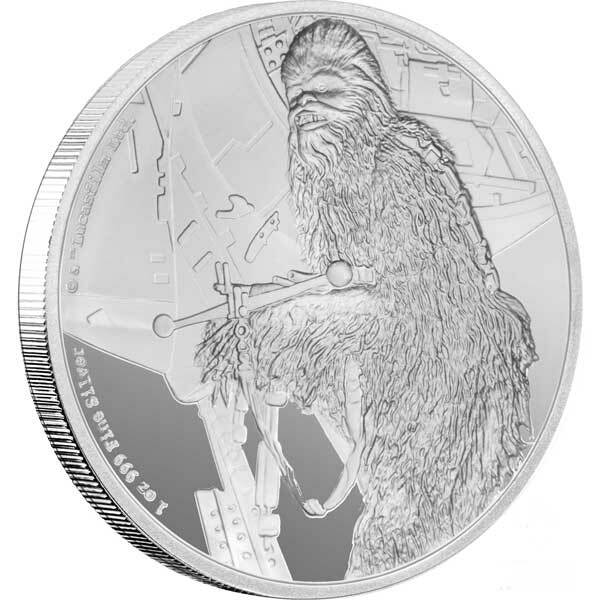 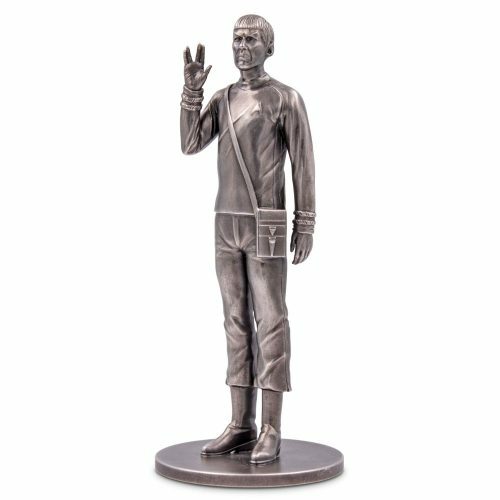 This 35g pure silver foil commemorates the third film in the Star Trek franchise from June 1984. 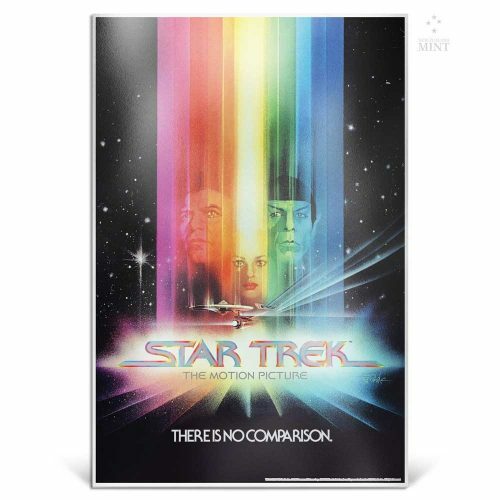 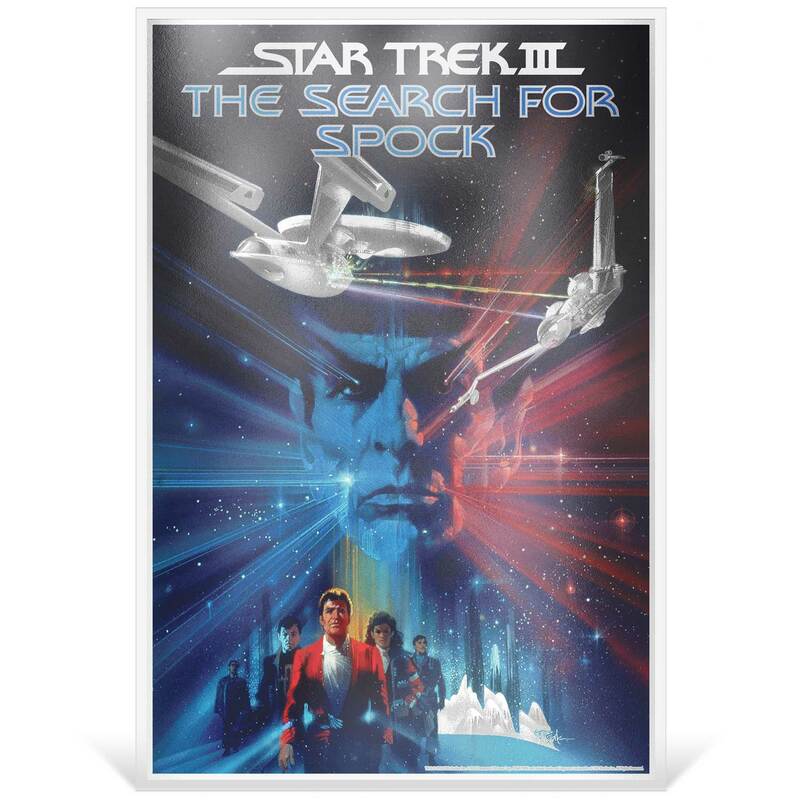 The stunning design features a replica of the thrillingStar Trek III: The Search for Spock poster, and artistically combines both colour and engraving. 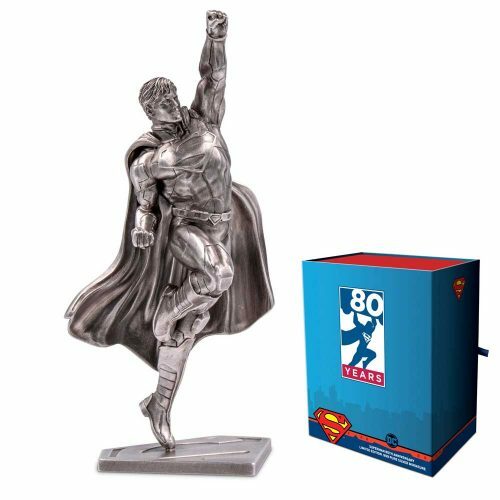 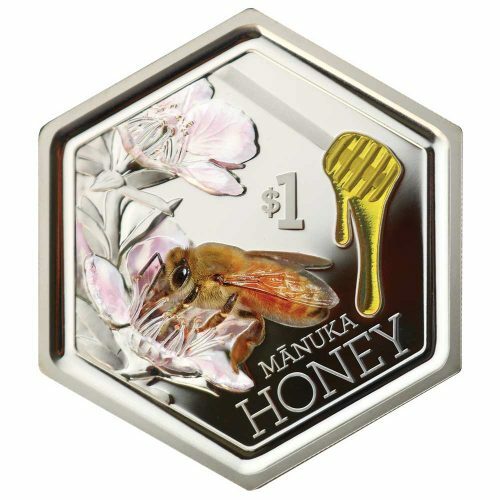 This fine silver collectible sits within a unique acrylic holder, which is packaged inside a complementary themed carrier. 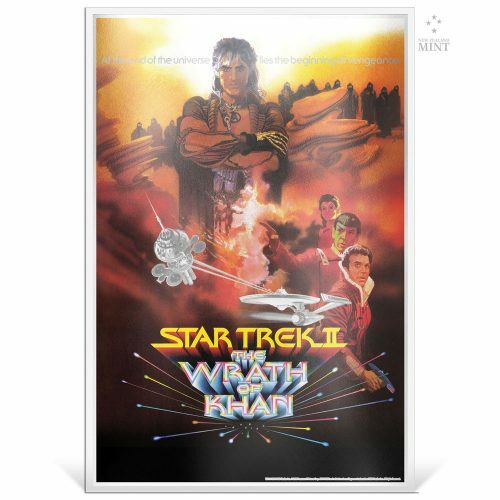 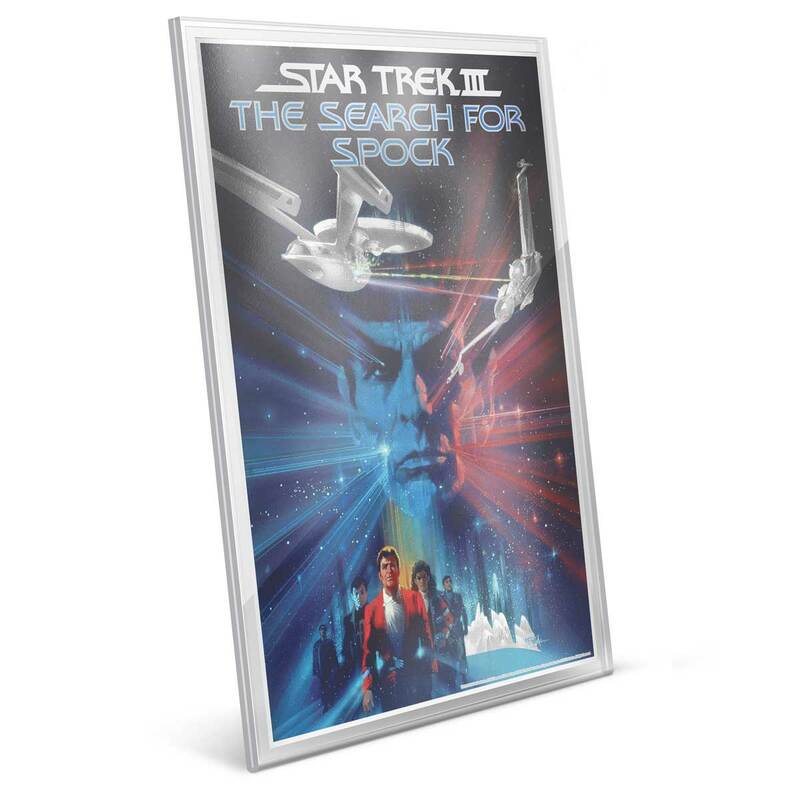 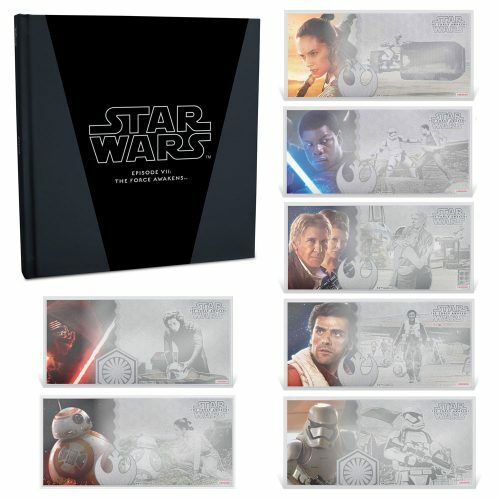 Pure silver foil features a replica of the Star Trek: The Search For Spock film poster. 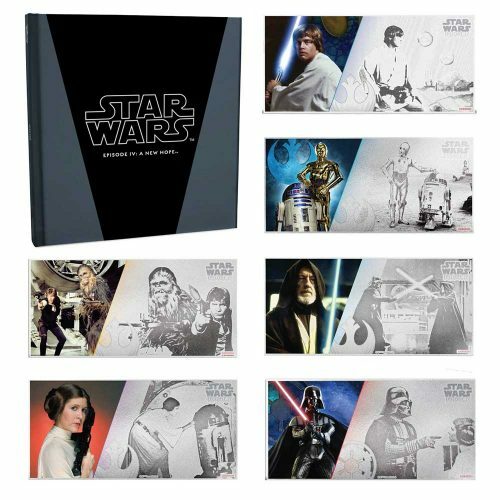 Presented in a themed cardboard sleeve with a carboard matt ready for framing.The silver foil poster is presented in a clever acrylic cover, designed to frame the foil and allow for easy display. 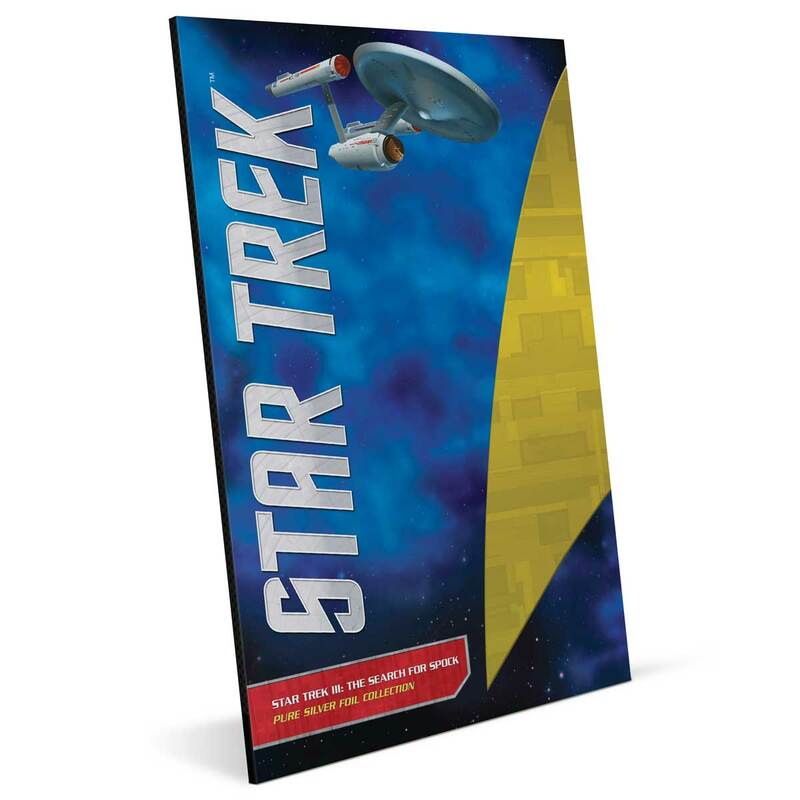 This in turn is packaged inside a themed shipper box.